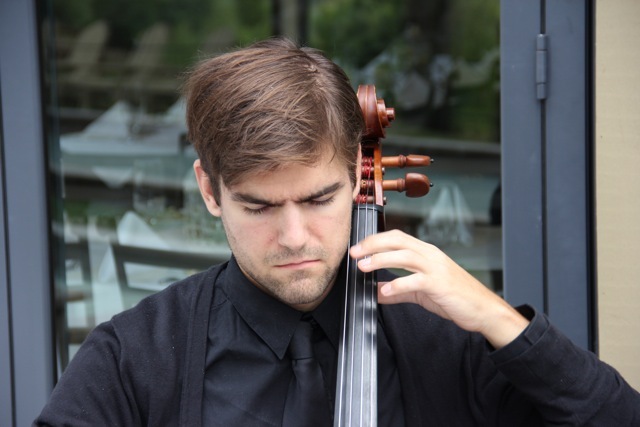 Timothy Leonard wound up playing cello at the age of 10 and hasn't looked back since. A New Jersey native, Tim performs throughout NJ and NY; recent appearances include performances at Barclays Center, NJPAC, and Merkin Hall. He has shared the stage with a variety of musicians ranging from Peter Serkin to Jay-Z and has collaborated with members of ICE and AME. He plays regularly with Con Vivo Music, Artists by Any Other Name, and The Secret Opera. Tim is a founding member of the Red Oak Contemporary Ensemble. A sought after teacher, Tim teaches at Sonic Explorations, an El Sistema program for students in Orange, NJ.